Judge In Mexico Orders Prison Officials Detained In 'El Chapo' Escape : The Two-Way Joaquin Guzman slipped out of his cell on July 11, via an underground tunnel. He is believed to have had inside help in the jailbreak. 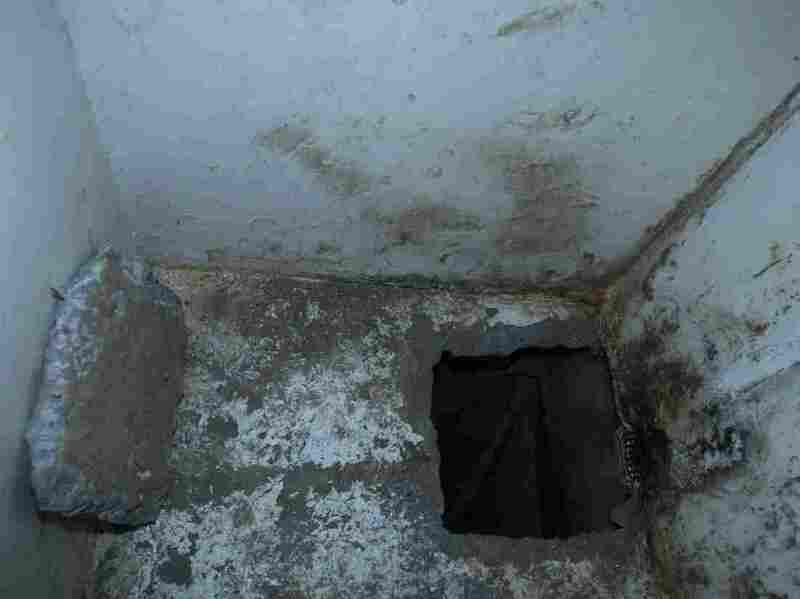 A hole in the floor of cell number 20, from which drug kingpin Joaquin Guzman escaped on July 11 from the Altiplano maximum security prison in Almoloya, Mexico. Weeks after drug lord Joaquin "El Chapo" Guzman allegedly got inside help in a daring escape from a maximum-security prison in Mexico, a Mexican federal judge has ordered three officials who worked in the facility's monitoring center at the time of the jailbreak to be formally taken into custody. Guzman, the head of the Sinaloa drug cartel, used an elaborate tunnel system constructed under the Altiplano prison in Almoloya to slip out of his cell on July 11. According to The Associated Press: "The judge described the employees as the person in charge of the prison's video surveillance control center and two guards. There were inconsistencies in the supervisor's statements and there was no explanation for why the guards did not answer the telephone in their module." "The judge ... said he wanted to look more closely at why the two prison guards had not answered the phone at the time of the escape. "The judge said there was insufficient evidence to jail four other suspects."